In a previous post I detailed out the issue with Get-MPIOSetting value returns. This problem caused the Test-WindowsBestPractices cmdlet to not work. This new version of the Toolkit re-enables the use of Test-WindowsBestPractices cmdlet. The fix has been tested on 2012 R2, 2016 and 17093. Windows Server 2019 has fixed this issue. No other improvements unfortunately. 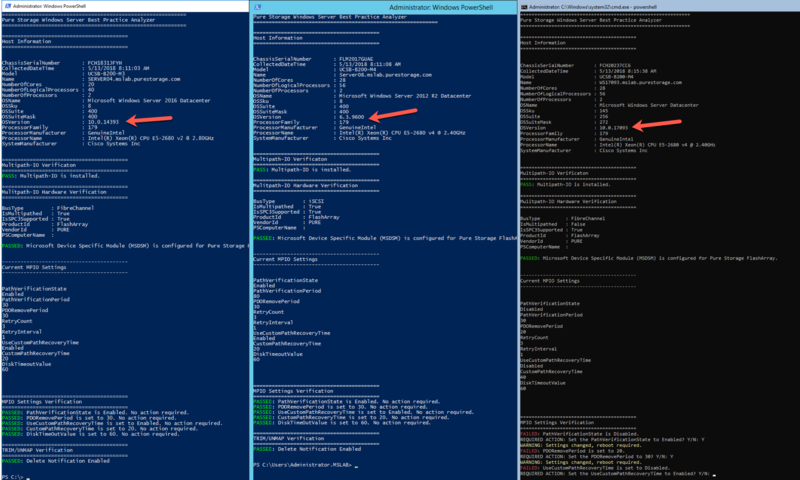 After Pure//Accelerate I will be working on integrating the SQL Server and VMware cmdlets into the Toolkit. Problem put an issue in at https://github.com/PureStorage-OpenConnect/powershell-toolkit/issues.